The first title in the Games For The Holidays promotion is finally here. 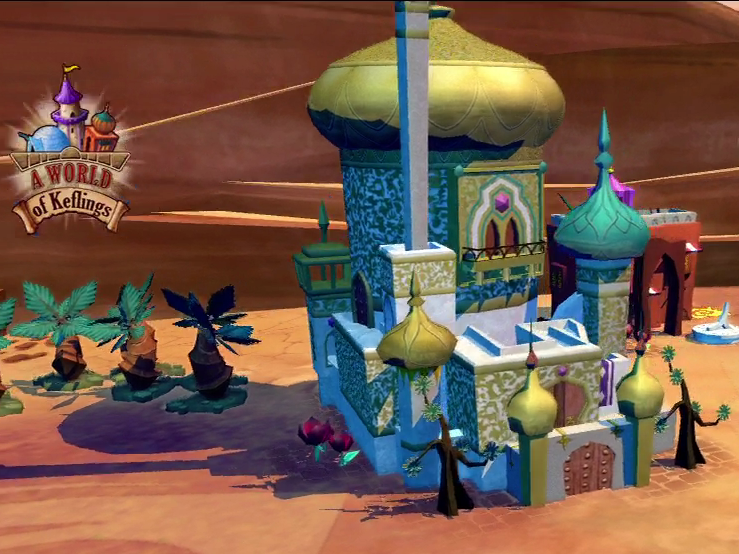 This week we’ll be looking at A World of Keflings, from Ninja Bee. 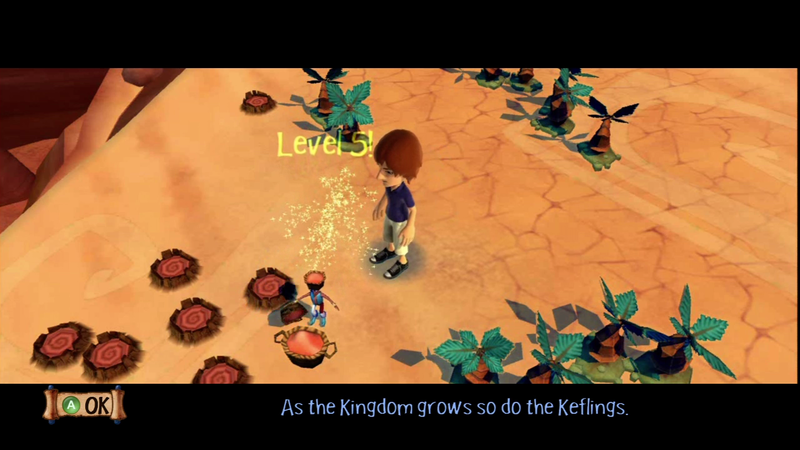 This is the expanded follow-up to A Kingdom For Keflings, a game which was among the first to use the Avatar in gameplay. Is it worthy of a spot in the promotion? 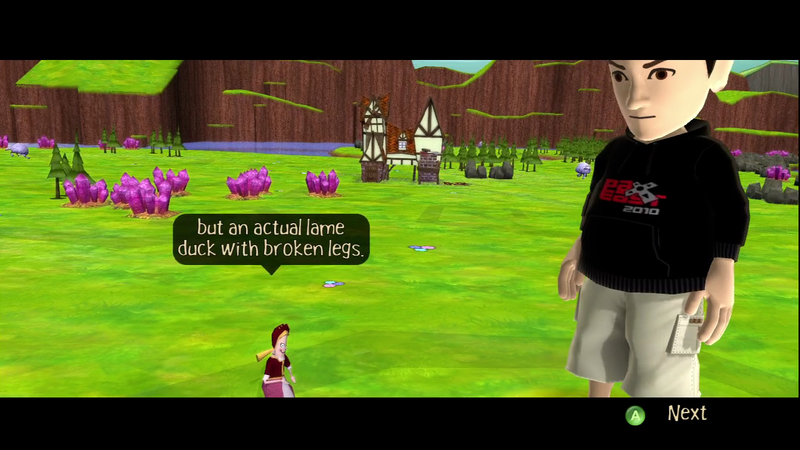 Well, I’ll take my XBLA Avatar, clad in his shamefully out of date PAX East hoodie, into the Kefling infested world to find out. Honestly, the visuals of this game, while not terrible, are nothing special. The keflings themselves are very small, and there will potentially be an awful lot of them before long, so you can excuse the makers if they didn’t load them down with detail. Most of them are just your basic humanoid with a painted on expression. Certain special characters get a little more detail and a little more face time with the camera, but don’t come to this game looking for something that pushes the envelope for graphical depth. The same goes for the environments. Care has been put into polishing them up a bit – the landscape slowly slides through the seasons, going from stark to lush to autumnal and back again, for instance – but mostly you’ve got a blank canvas of open ground garnished with resource nodes ripe for the harvest. This, too, is by necessity. By the end of the level you will have covered a fair amount of that ground with specialized buildings and assigned workers to plenty of those nodes. While they don’t impress, I don’t want you to think that the graphics in A World of Keflings fall short. Hats are placed on the heads of each type of worker to differentiate them. 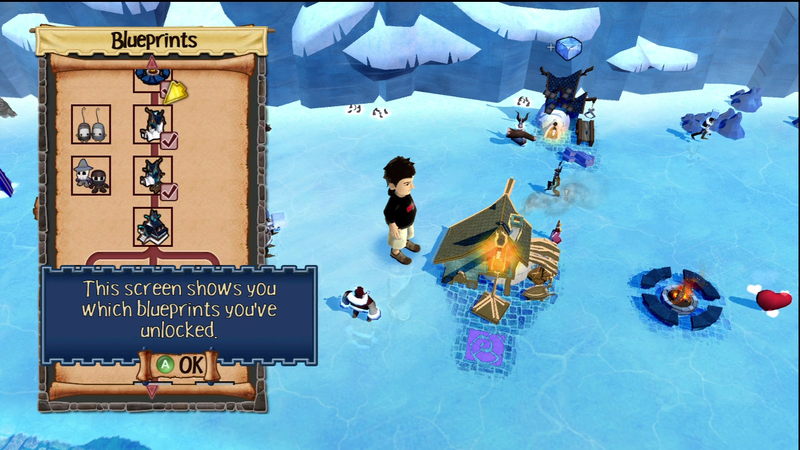 Noticeable indicators identify quests and other things that require your attention. A collectible item is simple to spot, even from across the map, thanks to highly visual effects being applied, too. Your main character is your avatar, so if he or she isn’t interesting enough to hold your attention, that’s your own darn fault. And then there is the animation. The makers of this game really took advantage of the fact that they would have a pre-rigged, pre-crafted character to play with – that is to say, you. 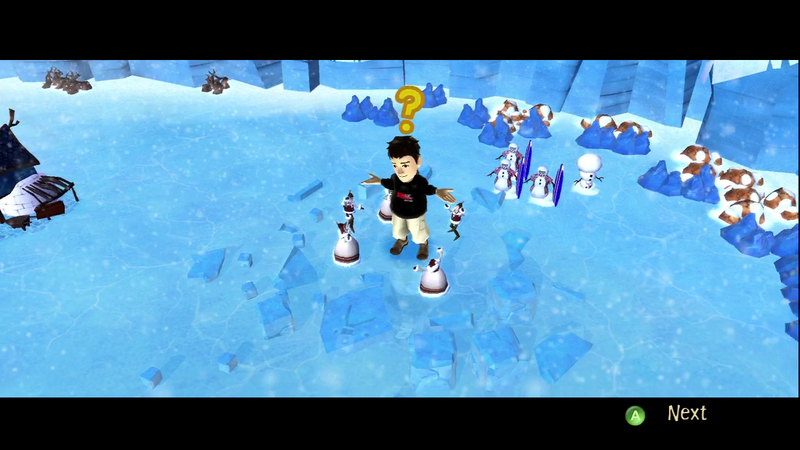 Your character gets a veritable library of “emotes”, essentially dances and exaggerated gestures. In many games such things would be nothing but filler, but not here. Many, if not all, actually serve a purpose. They range from terrifying your little workers, to shooing away dragons, to gathering unemployed keflings for assignment. Not only that, but if you’ve given Ninja Bee’s other games a try, or the others in the Promotion (you can’t yet, but soon) or even Comic Jumper, you earn bonus emotes or blueprints. Couple this with the extremely animated gesturing and body language of the characters involved in the story, and the developers have gone a long way toward making up for otherwise lackluster visuals. Gameplay is similar to, but not exactly like, a number of games. It is what you might call a God Sim, except you’re considerably less omnipotent than your average deity. Think of playing the first Black and White as the beast and you’ve got a pretty good idea of what this game is like. You’re surrounded by little guys, some of which are special, most of which are generic. Your job is to help these people build their civilization, and there a number of facets to it. For instance, rather than just standing around looking dopey, the keflings are ready and raring to lend a hand in their own development. They just need some guidance. You need wood? Just pick up a spare kefling and plop him near some trees. He or she will don a lumberjack hat and whip out an ax. If you want the wood to go anywhere special, after they’ve got their hat, pick them up and drop them off at the appropriate target. They will happily ferry the wood there once it has been chopped. The same goes for stone, ice, ore, gems, and any other resource. Once you’ve established a supply line, it is time to start working on the technology tree. Raw wood can be made into planks. Planks can be made into carved wood. A workshop can make the parts for a factory, which can make the parts for a sculptor. Each building takes certain resources and produces something else, either another resource, the components for the next tier of buildings, or both. And since each will need to be manned, and will need resource gatherers to provide the input and couriers to ferry the output, it becomes quickly necessary to acquire some additional man power. You can produce more grunts, err, keflings, by building houses and supplying them with one of the few truly limited resources: Love. Yes, what the World of Keflings needs now is love, sweet love. That’s the only thing that there’s just too little of. Ignoring gameplay elements inspired by the great Burt Bacharach, there are a handful of keflings that are a bit more helpful than the rest. These self-proclaimed lackies are earned through story progression, and really come in handy as the kingdoms become more complex. When you pull up a blueprint and start ordering parts, these helpful fellows will fetch the finished part. Not only that, but if you’ve built it before, once you lay the first piece they’ll finish it off for you. So, so useful. It takes a bunch of the tedium out of the game. Not to be outdone, the other characters eventually improve. If you let them do a job for long enough, they will earn a level, which can be applied with a pat on the back. Before long they’ll begin to approach your own godlike harvesting and carrying ability, and that sort of blasphemy cannot be allowed to stand. Thankfully, potions, which are earned by getting the necessary ingredients (eyeballs), provide you with upgrades as well. 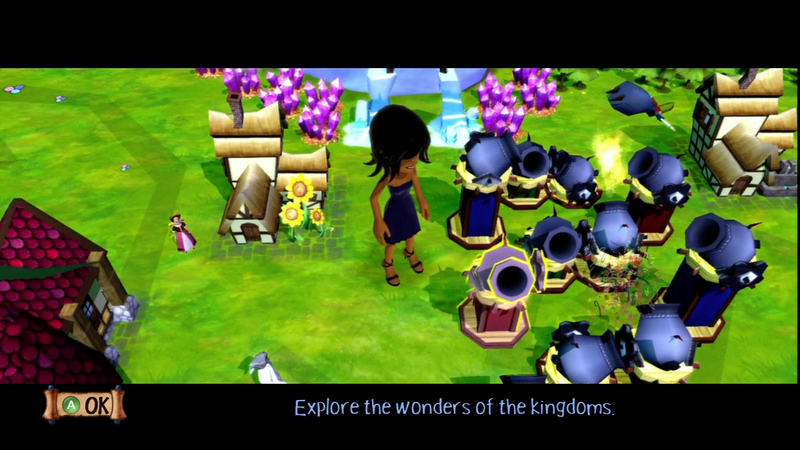 As you play, you’ll progress to different kingdoms, each with their own buildings and resources. Once you upgrade each to the utmost, your game is essentially over, but a few things have been thrown in to keep you interested. One is multiplayer, which lets you pull in another friend’s avatar to lend a hand building and/or terrorizing your kingdom. The other is the “musical cannons”, a sort of sadomasochistic sequencer that lets you play tunes by firing your little guys various distances with various accompanying animations. Overall, the gameplay is nice, slow, and interesting. There is a very linear progression, and seeing your kingdom steadily grow is actually quite satisfying. The only real complaints I have are minor. The first is that there doesn’t seem to be any easy way to keep track of what keflings are doing what jobs. It is easy to tie up all of your workforce dropping wood off at the same workshop when you should be spreading them out to other buildings, and the only way to determine this is by watching where they walk. The other is that sometimes it can be a pain figuring out which of your many building produces the resource you need for the next step. They are color coded, which helps, but when your buildings are spread all across a literal world, hunting down the house with a yellow front yard can get irritating. The soundtrack to this game is one of those rare examples of a short, repetitive song that I don’t mind listening to for long stretches. It is a merry little tune plucked on a genuine guitar, sort of a pseudo-folk music I suppose. It gets lodged in my head for hours after I finish playing, too. Keflings themselves communicate in nonsensical babbling noises, like the sims and the cast of Banjo Kazooie. When something important needs to be said, word balloons accompany the sounds. Otherwise you have to draw meaning from the body language and startled squeaks of dismay as you punt them across the map… not that I did that, of course…. The story of the game isn’t the most complex I’ve seen. Basically, a bunch of diminutive folks called keflings chip your avatar out of a block of ice, and immediately involve you in their civic works projects. Each of the kingdoms you encounter have various aspirations, usually aimed at the eventual construction of a castle. Along the way there are side plots that involve thawing frozen helpers or kicking loggers for the sake of environmentalism, too. What the story lacks in depth, though, it makes up for in character. The keflings you encounter are memorable and genuinely funny at times. The lackies in particular are off-the-wall, in a good way. The first pair are a bizarre pastiche of Canadians, punctuating their sentences with “eh” and the like. Next comes a barely verbal dimwit named “Scoob” (who is discovered in a quest named “Zoinks”. Nice.) and what is either a beefy lady in a frock or a cross dressing man. The quest-givers are humorous, too. The King of the Kingdom Without a Castle, for example, speaks almost entirely in incoherent malapropisms, and the witch walks the line between being delightfully wicked and a dangerous sociopath. (She EATS puppy dreams! GAH!) 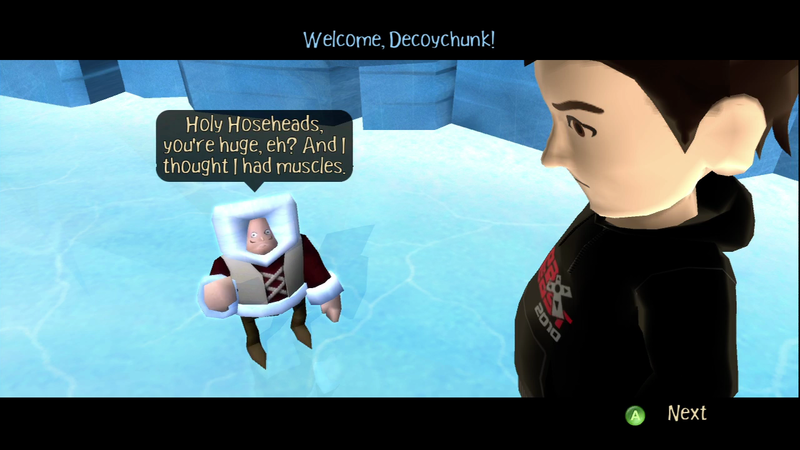 In a game where I fully expected to hammer the A button every time a dialogue screen came up, I found myself entertained by the quirky attitudes and subversive humor they’d saturated the cast with. 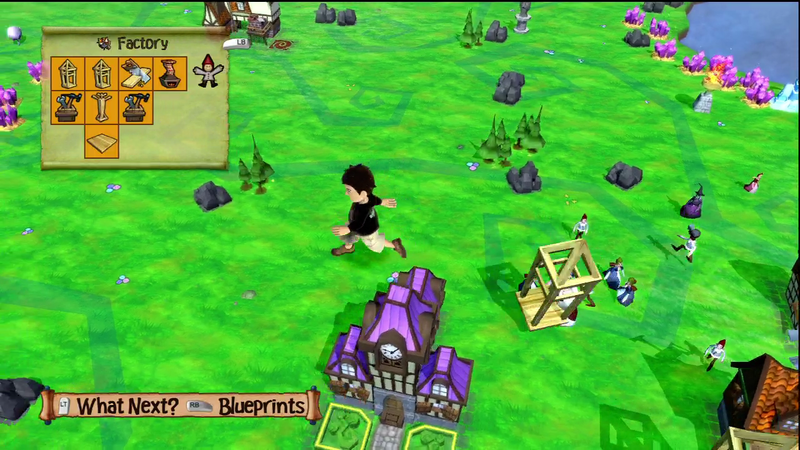 For an XBLA title and a Sim, A World of Keflings has just the right amount of depth. The delivery is entertaining, and the gameplay manages to do away with much of the tedium associated with the Genre. Throw in the interaction with the other promo-titles, and I’d say you have a winner on your hands. 8.0 / 10. A simple to learn, lighthearted sim that makes excellent use of your avatar.